To allocate some three days (19-20-21) for the country clean-up action, join an international action and show your solidarity to the globe. Contact your close people, neighbors, friends, acquaintances or collaborators. Come out together and let’s clean up streets, neighborhood, village, city ... whole country with concerted efforts in order to be able to live in clean and safe to health environment. Let us care for the future of our children! We are addressing all the society... join us yourself and engage your close people in the clean up actions. 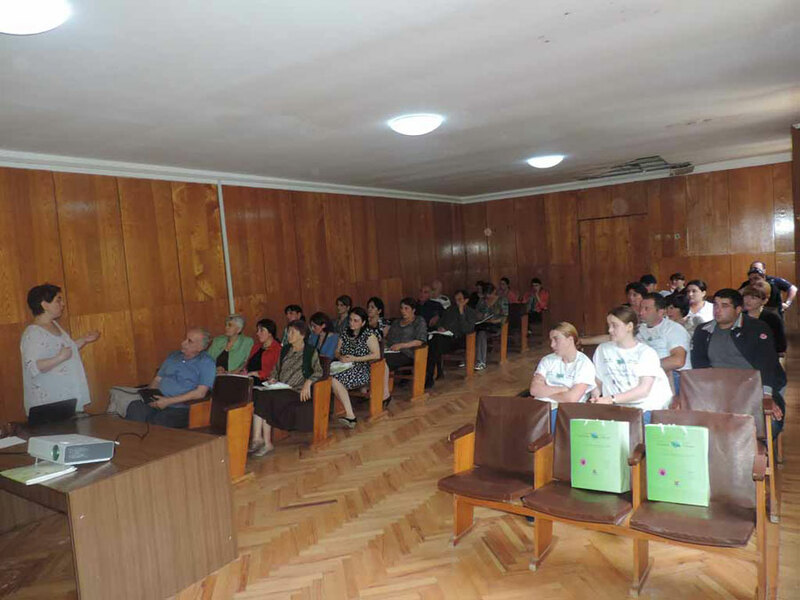 On August 18-22, 2014, in the framework of the project “Clean Up Georgia – Raising of Public Awareness and Involvement in Solid Waste Management Improvement ” (Phase II), Georgian Society of Nature Explorers “Orchis” arranged the Meetings in Batumi and Kutaisi City Halls, in Khelvachauri, Khulo, Keda, Shuakhevi, Kobuleti, Zestafoni, Tskhaltubo and Kharagauli Municipalities with the participation of the representatives of Batumi and Kutaisi City Halls, above mentioned Municipalities Sakrebulo and Gamgeoba, Local Authorities, LTDs, LEPLs, NGOs, mass media and others. 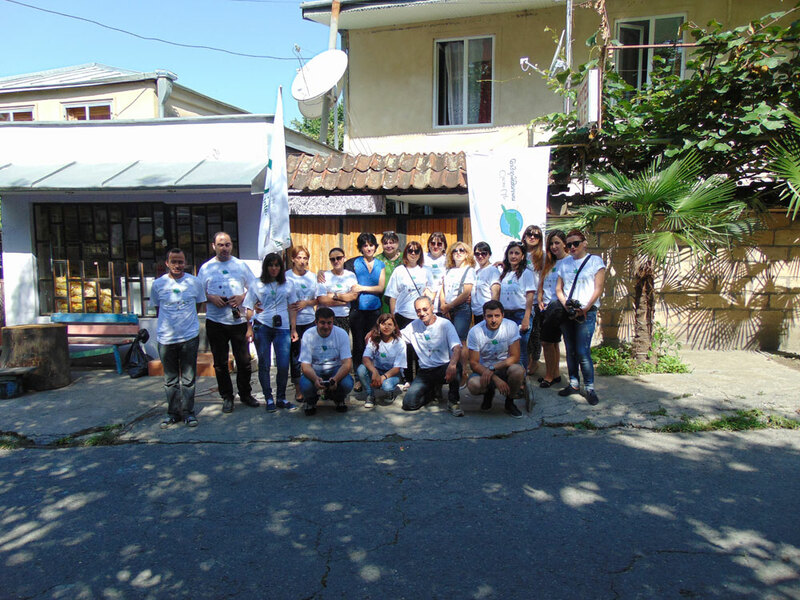 On August 29, 2014, NGO ‘EcoVision’ under the project ‘Clean Up Georgia’ and the festival ‘Art Active 2014’ arranged the environmental school action in Batumi. The aim of the event was to raise the awareness of school children about waste and to promote waste recycling, in particular waste paper and plastic. Up to 50 students from Batumi public schools participated in this event. 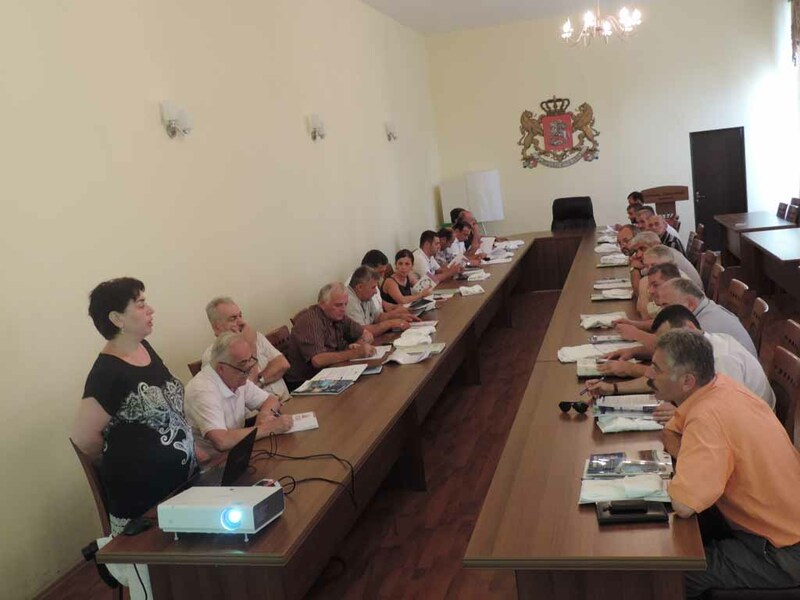 On August 6, 2014, in the framework of the project “Clean Up Georgia – Raising of Public Awareness and Involvement in Solid Waste Management Improvement ” (Phase II), Georgian Society of Nature Explorers “Orchis” arranged the Meetings in Ozurgeti, Lanchkhuti and Chokhatauri Municipalities with the participation of the representatives of Ozurgeti City Hall, above mentioned Municipalities Sakrebulo and Gamgeoba, Local Authorities, LTDs, LEPLs, NGOs, mass media and others. On July 25-26, in the framework of the project "Clean Up Georgia – Raising of Public Awareness and Involvement in Solid Waste Management Improvement " (Phase II) a media workshop entitled “Solid waste management and climate change mitigation measures ” was organized for regional media representatives of Western Georgia. On July 21-22, 2014, in the framework of the project “Clean Up Georgia – Raising of Public Awareness and Involvement in Solid Waste Management Improvement ” (Phase II), Georgian Society of Nature Explorers “Orchis” arranged the Meetings in Lentekhi, Tsageri, Ambrolauri and Oni Municipalities with the participation of the representatives of above mentioned Municipalities Sakrebulo and Gamgeoba, LTDs, LEPLs, NGOs, mass media and others. On July 3-4, in the framework of the project "Clean Up Georgia – Raising of Public Awareness and Involvement in Solid Waste Management Improvement " (Phase II) a media workshop entitled “Solid waste management and climate change mitigation measures ” was held for regional media representatives of Eastern Georgia. 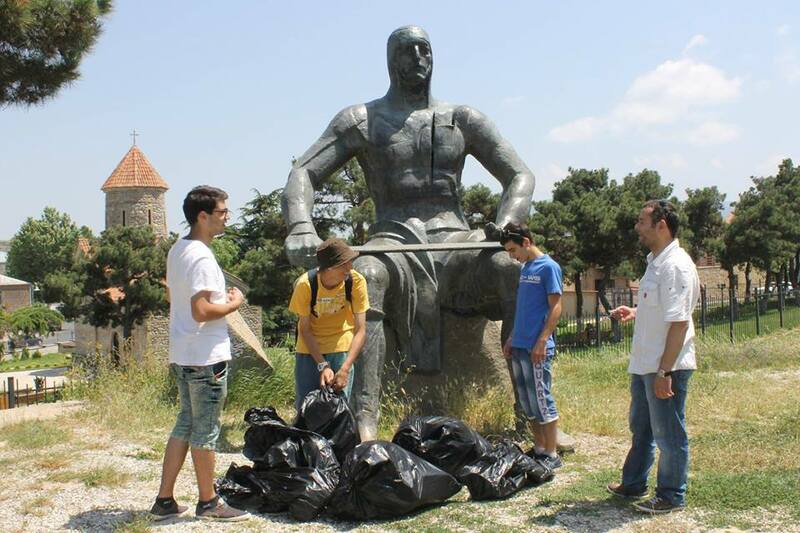 On June 22, near Gori Fortress, next to nine brothers memorial a clean up action was carried out.. The rally was attended by members of the youth organization "Time " - a total of 15 activists. 18 bags of household waste were collected and approximately 4000-4500 m2 area was cleaned up. Waste has been disposed in Gori landfill. 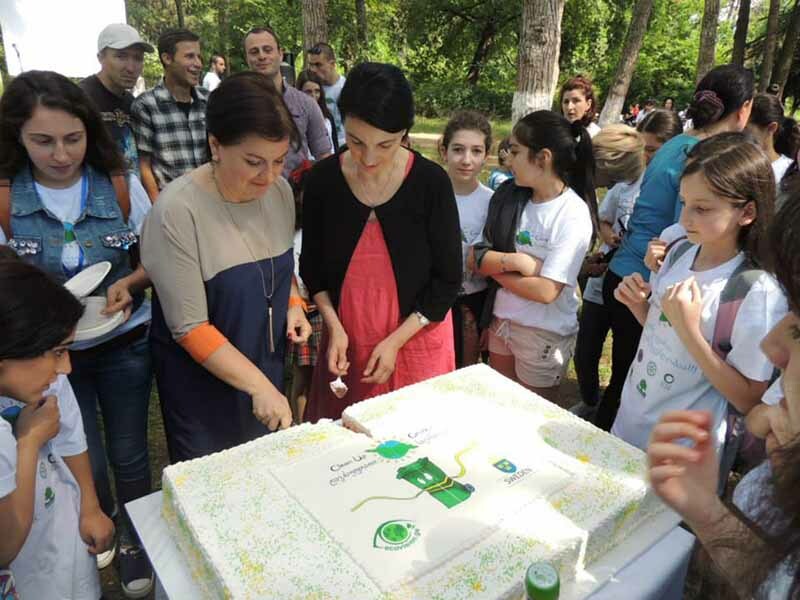 On June 12, 2014, for celebrating the week related to World Environment Day, NGO ‘EcoVision’ arranged the environmental school action at Digomi Forest-park (Tbilisi). The aim of the event was to raise the awareness of school children about waste and to promote waste recycling, in particular waste paper and plastic. 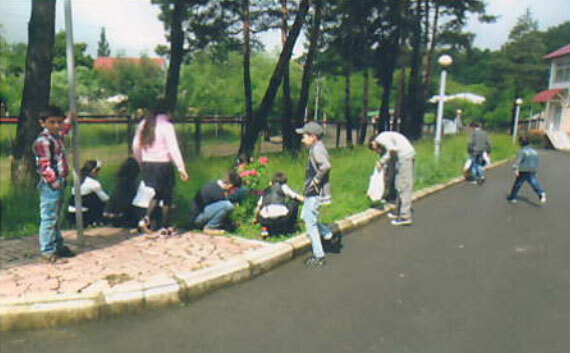 The action was arranged under the project ‘Clean Up Georgia.’ 150 students from 12 Tbilisi public schools participated in this event. The action was also attended by the representatives of the Ministry of Environment and Natural Resources Protection, Parliament and the Swedish Embassy. 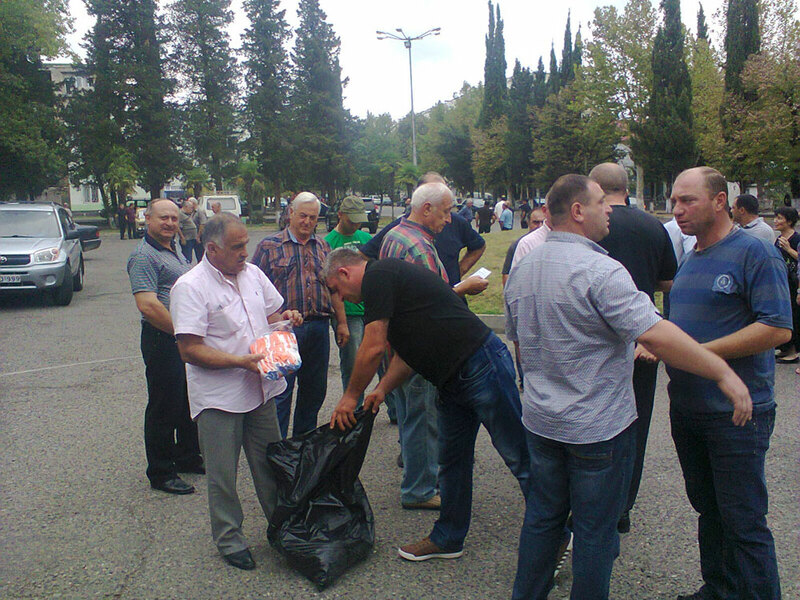 From June 5 through June 12, on occasion of World Environment Day and under the "Clean-up Georgia" campaign a Clean up Week has been performed in public schools of Sachkheris municipality. 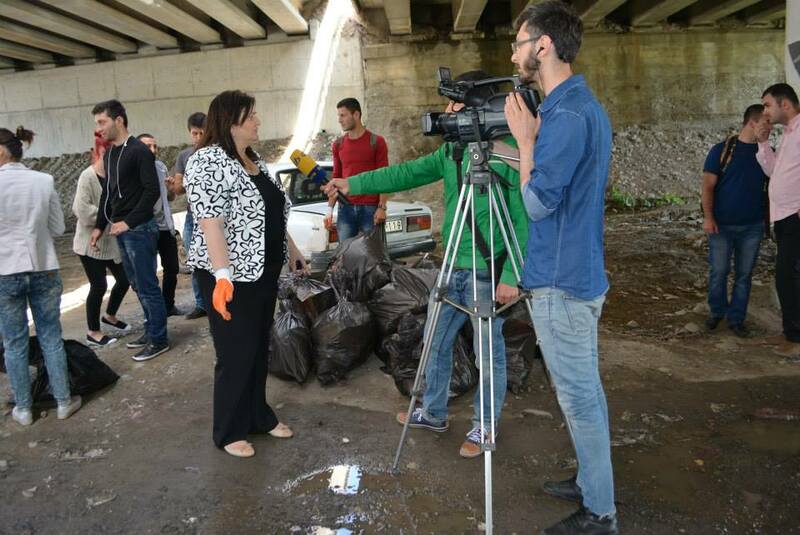 On June11, with support and arrangement of Khoni regional coordinator of Greens Movement of Georgia/ Friends of the Earth –Georgia a clean up action was performed in village Ivandidi of Khoni municipality. During the action public school surrounding area, approximately 0.5 has been cleaned up. 20 local residents took part in the action. Around 0,3 m3 of waste were collected.